Do You Have This Purse in a Porridge Color and Slightly Smaller? When it comes to purses, I’m a little bit like Goldilocks—this one’s too big, this one’s too small. 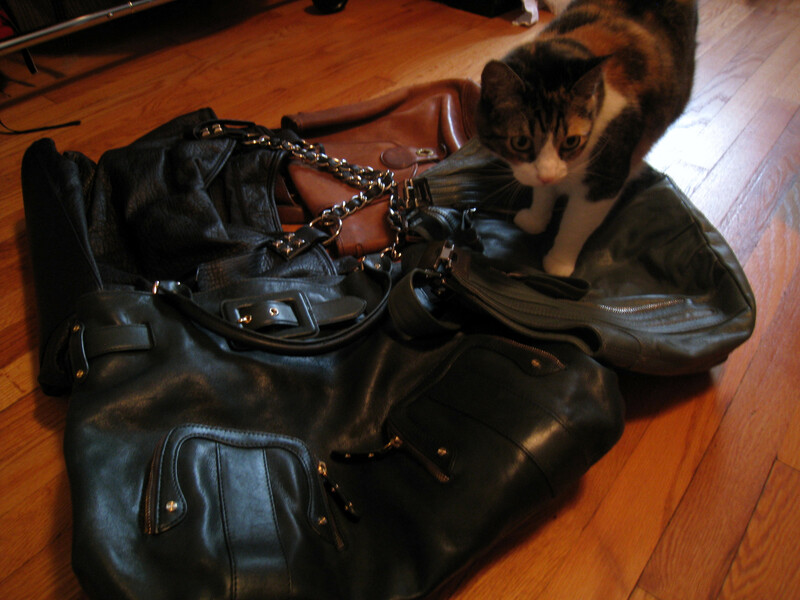 But unlike our fair-haired heroine, I have very few bags that I consider just right. 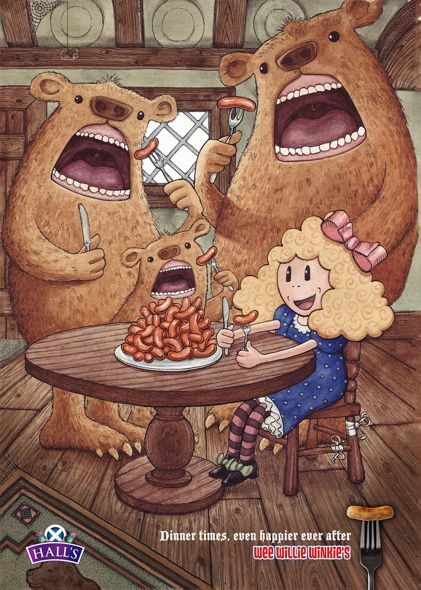 How scary is this Goldilocks?? Nightmares! 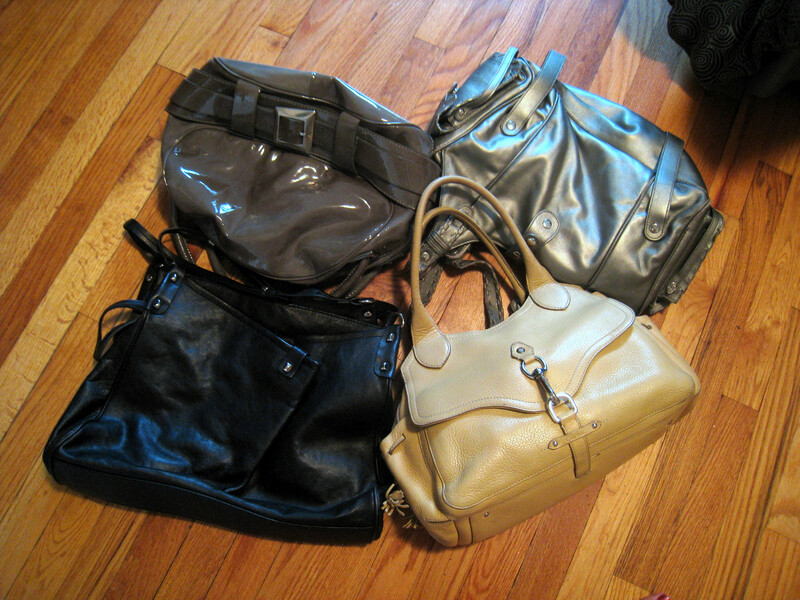 Nevertheless, I continue to acquire not-quite-right bags at a fairly alarming—and expensive—rate. 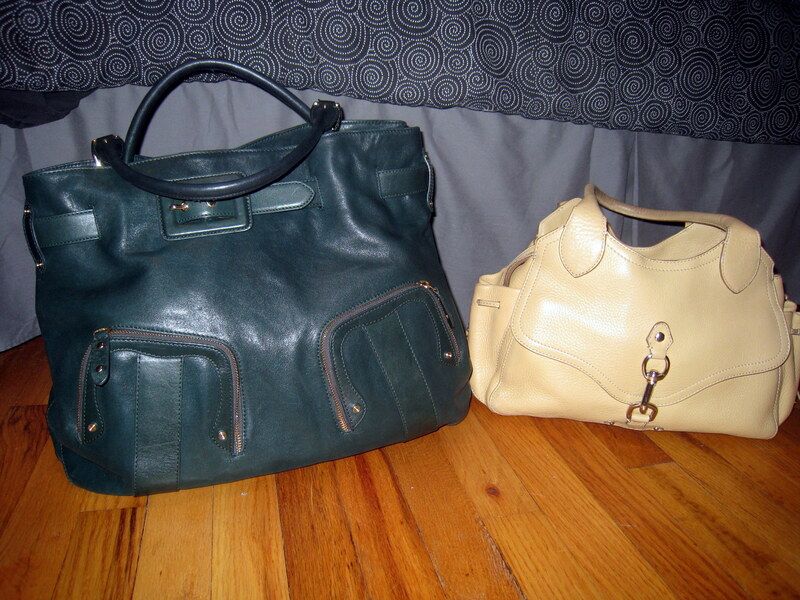 Here’s a closer dissection of my two categories of bags. 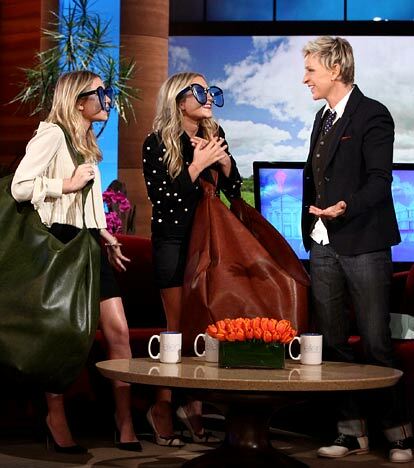 The big bags: My excuse/thought process when purchasing yet another bag that is larger than an Olsen twin is that I am a daily rider of public transportation. And in order to avoid/deter any interaction with my fellow humans, I have to schlep a lot of crap around. Princess Pointy Ears is clearly a big bag girl. For example: I need reading material, like books and magazines, so I can bury my nose and not make any eye contact. I need my iPod Touch so I can drown out all the annoying tourists yakking on about seeing a motorcade while they were heading to the Shake Shack. Yes, there are motorcades. Pretty much all the time. Get over it. It’s probably not even the president. 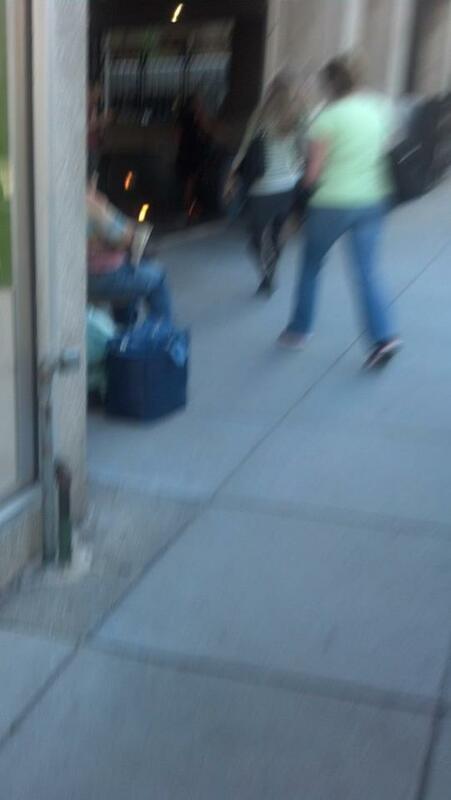 It’s probably one of his kids going to a Jonas Brothers concert. I also need a change of shoes so I can outsprint my fellow commuters to get out of metro and on my way to work. 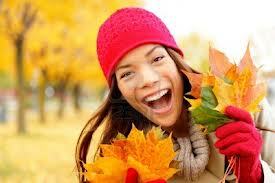 I’m just kidding. I actually just need a pair of walking flats because I live in the cobblestone hell that is Old Town and I live an 8 minute walk from my metro stop. Cobblestones: Quaint and old timey? Yes. Good on heels? Not so much. Plus I need to carry a sweater or jacket so when I enter the sub-Arctic work environment from the 95 degree heat, I won’t catch pneumonia and die on my work keyboard. Productivity people! Dead workers are not productive workers. So that’s why I need a ginormous bag. All of this urban survival gear takes up a lot of space. But the bags that can carry this stuff are a bit too large and heavy. I usually rotate bags in and out every couple of weeks. I don’t change bags every day. That’s way too much work for me. So after a couple of weeks of shoulder-sagging bags, I get completely fed up and do a total 180 and pick a bag that is far too small for all my necessities. Or actually, they’re usually just slightly too small, which is even more frustrating. Because when you choose just a slightly-too-small bag, you have to make choices and leave a few things out. But when you’ve been carrying a huge bag that holds your entire life, you start to expect that you have things like that tiny tube of emergency sunscreen for when you want to eat outside or that teeny-tiny portable umbrella or wet wipes for times you need to clean your hands after a particularly messy gyro from the food truck. I’m a teensy-totally-manageable-bit OCD (yes, I do have a lint brush in my purse. And I’ll have you know, it’s come in handy on numerous occasions), so being unprepared makes me very, very anxious and cranky. Then the pendulum swings the other way and I cave in and haul out a large bag again. My security blanket. I wonder what Goldilocks would say about all this vacillating. She’d probably tell me to go take a nap on some bear’s bed. The bag on the left is going to eat the bag on the right.